Upon arrival to Cusco Airport. 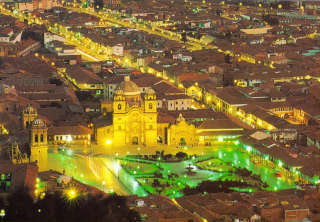 Reception and transportation to the Hotel where you will receive an aromatic coca tea to stimulating for the height, will have the free morning to rest and also we suggest you have a light lunch either at your hotel or in one of the surrounded; in the afternoon we will depart on a guided city tour, where tourist have the opportunity to visit 6 places (entrance to the archaeological centers and museums including) we will visit the Main square, Cathedral, the Koricancha (temple of the sun) and in addition we will make a route bordering archaeological centers like Sacsayhuaman Fortress, Q'enko, Puka Pukara and Tambomachay, tour finishes 6:30pm approximately at the main square in order you can take dinner in one of the exquisite restaurants in the area, then overnight. (No meals included). Early breakfast and pickup to go the train station to depart to Machu Picchu, the trip takes about 4 hours. During the trip we will have an amazing view of the landscapes of the Sacred Valley of Urubamba and the Amazon rainforest providing you a small hint of how much Peru has to offer. Upon arrival to the little town of Aguas Calientes you will have to approach the bus station towards Machupicchu the “Lost City of the Incas” (Only 20 minutes ride) to receive a professional guided tour by this Huge Historical Sanctuary visiting the Main Plaza, the Circular Tower, the Sacred Sun Dial, the Royal Quarters, the Temple of the Three Windows and various burial grounds follow by some free time to explore the zone on your own and experience the energy and force contained therein, an according time, we will go down to the Aguas Calientes town to take the train that will return us to Cusco City. Reception at the train station and transfer to your accommodation. (B,L). 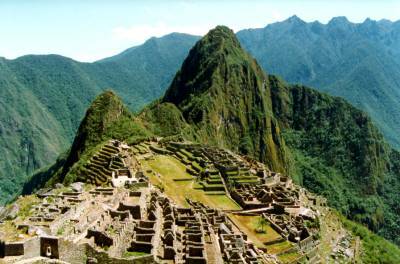 The Hiram Bingham is the most luxurious way to journey between Cusco and Machu Picchu. For many visitors a trip to Machu Picchu is a once in a lifetime experience, and the Hiram Bingham assures a magical journey, never to be forgotten. The carriages are painted a distinctive blue and gold and the interiors are luxurious, warm and inviting with elegant decoration in the style of the 1920's Pullman trains. Each of the carriages has been furnished in polished wood and brass with large chairs and plenty of space to stretch out. As you board, the tables are exquisitely laid, ready for your meal, with gleaming crystal and polished cutlery. On board you will be served by a team of dedicated waiters who will attend to your every need and make sure your journey is as comfortable and luxurious as you imagined.